As 2013 draws to a close, we all think through what has worked for us during the year and what could be better in the future. No one knows this routine more than a consultant: What did I do for my clients that was really meaningful? Where were there holes in what I have to offer, and how might I fill them? What are the needs that my clients will face in the coming months, and am I ready to meet them? Do I need a partner to help me with the details? Heurista can juggle those details! Heurista works with non-profit organizations, such as universities, hospitals, secondary schools, arts and civic organizations to navigate complex projects, especially those related to donor stewardship, recognition and facility-based displays. Under the leadership of Anne Manner-McLarty, the firm has built a reputation for going beyond creative product solutions to offer substantive ideas for how to engage donors and prospects alike. We know how to tell the stories that will motivate an audience while keeping efficiency, repeatability and future growth in mind. Most importantly, we work well with other consultants and are sensitive to the trust-based relationship you have built with your client. Heurista is unlike other design firms. Our ideas are creative, but they are tried and true, coming from years of experience working with non-profit clients, like yours. We're familiar with print, web, interactive and hardscape design. Our team brings experience in donor recognition, constituent relations, stewardship and program planning. And, we know how to build the great ideas we formulate, See Example Projects. As a consultant, you know that you can't do it all. There are times that you need to know the right resource to bring to the table on your client's behalf. Take a moment now to learn more about Heurista and to consider what a partnership might mean for what you can offer your clients in the coming year. Look for Anne at upcoming conferences! Thursday, Jan. 30th - Moderator for theAssociation of Donor Relations Professionals webinar, The Power of Partnerships, a panel discussion with Nancy McKinney, ADRP President/UC Berkley; Daphne Powell, University of Alabama Birmingham; Angie Joens, UC Davis; and Paige Eubanks-Barrow, Oklahoma State. Thursday, Feb. 6th - At the Mountain Empire AFP Chapter, presenting on The Foundation of Your Foundation: Donor Relationships. In 2008, the Conservancy of Southwest Florida launched the Saving Southwest Florida campaign, with the goal of completely transforming their campus and relationship with their donors. Early on, commitments were made to fully integrating recognition into the visitor experience, thereby honoring the awareness that the project – and the organization’s mission – could not be achieved without the support of the Conservancy donors. Achieving that goal took dedicated partnership between the architects, interpretive design specialists, donor relations team and the Conservancy marketing and executive leadership. This project was more collaborative, and the result more specific to the client and their unique goals, than any other Heurista has experienced. 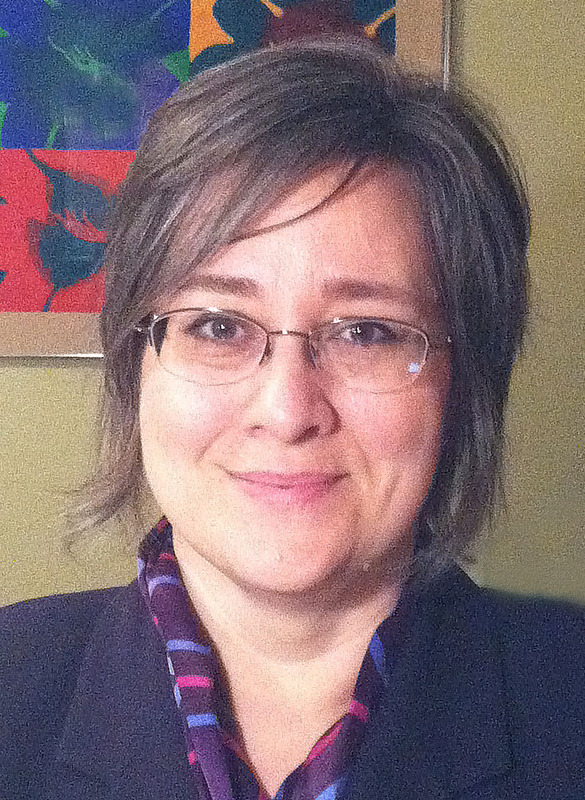 Initially introduced to the project by the fundraising consultant, Penny Scarpucci at Marts & Lundy, Anne was involved for over seven years, leading the donor recognition program design, coordination with other design consultants and management of content development, detailing, sign fabrication and installation. The Conservancy undertook a momentous project in the face of outstanding odds. By the time the campaign was complete, they had raised $38.5 million dollars, more than double the amount they’d been told was possible. They had completely renovated their campus, including the addition of five new buildings, implementation of many energy-saving features and expansion of activities for their visitors and preserved habitat. And they broadened their endowment and created new programs greatly furthering their mission to protect the water, land and wildlife of Southwest Florida. A central outdoor display welcomes visitors and provides recognition for many donors. Lifetime, planned and annual giving are recognized here, along with the presentation of naming programs, funds and areas or activities on the Nature Center campus. Likewise, there is a listing of the past donors who contributed to the Conservancy since its inception. These stories are told in context with photos of the scientists, policy advocates and visitors, providing an accurate picture of the ways that philanthropic support leads to mission-driven outcomes. The display structure is a permanent fixture that houses large format print graphics that are branded to current online and print graphic standards. Permanent recognition of naming opportunities is presented in a versatile system that easily allows for future additions. Throughout the donor recognition program, there are stories told about individual donors. These stories provide a meaningful connection between the donor and the visitors to the Conservancy, thereby demonstrating an awareness of the reasons why gifts are made and motivating greater giving.